Adrenal fatigue is at epidemic proportions today, due to our stressful lives. Even some teens have it, from the extreme stress being placed on them to succeed. Adrenal fatigue is a medical condition where there is sub-optimal cortisol production by the adrenal glands, leading to symptoms of exhaustion, feeling burned out, overwhelmed, irritable, and a feeling of not being able to cope with normal life. It is often accompanied by a “foggy brain” or difficulty focusing and prioritizing, which can lead to feelings of inadequacy and mild depression. A person with adrenal fatigue sometimes has to drag themselves through their day, self-medicating with high levels of caffeine to keep functioning. When someone has low levels of cortisol, they have trouble getting things done and they can easily lose their temper, not having any tolerance for things that didn’t use to bother them. Daily life can feel like a struggle. 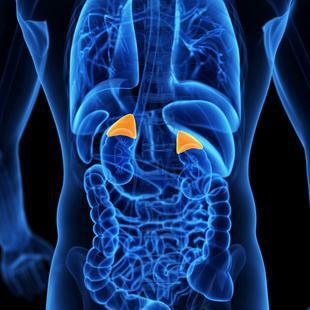 Proper diagnosis and treatment of adrenal fatigue can give patients a new lease on life! Cortisol goes up with acute stress (like a car accident) and helps give us the energy to cope with that situation. But over a long period of time under constant stress (a chronic illness, dysfunctional relationships, problems at work or home), like an exhausted muscle, the adrenal glands cannot continue to keep producing this essential hormone at adequate levels to function well. The pendulum swings from too high to too low. Most medical doctors do not recognize this condition of sub-optimal cortisol levels. For some reason, they only diagnose an adrenal cortisol abnormality if it is extremely high (Cushing’s Disease) or almost nonexistent (Addison’s Disease) – as if there was nothing in between. In real life, levels of cortisol fall on a continuum, and sub-optimal levels are enough to negatively affect the quality of life. There are commercials on TV about the problems of excess cortisol – like weight gain. But rarely is it mentioned that there are also problems when cortisol levels are too low. 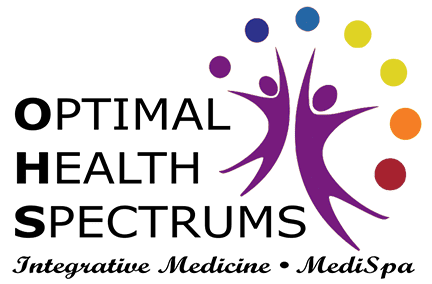 Like any other bioidentical hormone, there is an optimal range, and being too high or too low is bad for you. When the level is just right for you, there are no side-effects, and the patient feels and functions much better. Adrenal fatigue is diagnosed by doing a simple saliva collection at home, four times in one day – before breakfast, before lunch, before dinner, and before bed. A normal cortisol graph starts highest in the morning, and slowly declines over the course of the day, being lowest at night so that we can go to sleep. Some doctors only recommend testing cortisol in the blood first thing in the morning, but this misses the production the rest of the day. Also, the act of going to a lab to get blood drawn is stressful enough for many to falsely elevate cortisol levels and mask a deficiency. There are many other potential medical causes of fatigue. It can be as simple as not getting enough rest, which can be cured by a good night’s sleep. Another common cause is anemia, or lack of adequate numbers of red blood cells. Severe depression is often accompanied by fatigue. Lack of other hormones such as thyroid hormones (T3 and T4) can also cause fatigue. Lack of estrogen, progesterone, or testosterone, usually in patients over the age of 40, is also often associated with fatigue. Chronic infections, such as chronic viruses (EBV, CMV, XMRV), or Lyme disease (Borrelia) and its co-infections (Babesia, Bartonella, Ehrlichia) can also cause fatigue. Chronic toxicity with heavy metals such as mercury and lead can cause fatigue and brain fog. Lack of essential nutrients, such as Vitamin B12 and many others, can cause fatigue. Sleep disorders such as Apnea or Restless Leg syndrome can also cause chronic fatigue. It is important to consider these other possible causes of fatigue. Simply treating adrenal fatigue with cortisol replacement will not make all of the patient’s symptoms go away if there are other causes involved as well. However, for many patients, cortisol replacement is the missing link in feeling better. The generic name for cortisol is hydrocortisone – yes, the same stuff in the over-the-counter anti-itch creams. It is a steroid hormone, but it is a natural, bioidentical steroid hormone that is needed in proper amounts in our bodies for us to function properly. When the dose is right, the only thing a patient will feel is normal. The same molecule at physiologic doses (normal body amounts) does not have the negative drug side-effects of pharmacologic higher doses. When we prescribe hydrocortisone for adrenal fatigue, you get a full hand-out on how to take it properly to avoid any negative side-effects. When adrenal fatigue is properly diagnosed and treated, patients feel like they have a new lease on life. They can handle the daily stresses of life without feeling overwhelmed or exhausted, and that feels good!